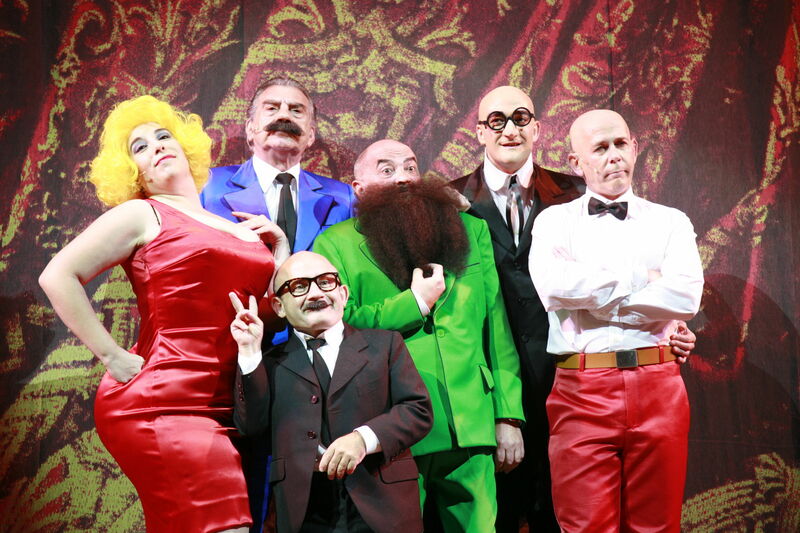 “Mortadelo y Filemón The Miusical” premiered last 19th September at the Tivoli Theatre in Barcelona, a production by Mucho Ruido Records and Zebra Producciones that was very well received both by the public and the critics. El País described the event as “spectacular” adding “the show is non-stop. All the actors are magnificent (they have amazing voices) and the choreographies are by Coco Comín in its finest hour”. Josep Sandoval wrote in La Vanguardia that this is “one of the most spectacular stagings of this genre produced in Spain”. The ABC newspaper indicated “Leaping, flying, special effects, over ninety costume changes and a musical, performance and dancing display”. Many well-known faces, such as Paula Vázquez, Juanma Iturriaga, Marina Gatell, Octavi Pujades (Lalola), Carlos Chamarro (Camera Café), attended the premiere.